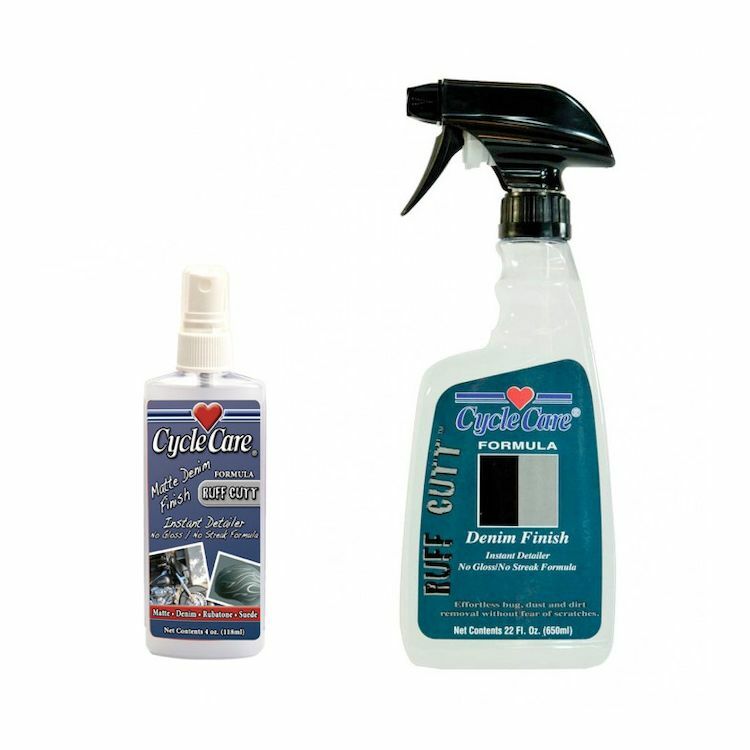 Cycle Care Formula RUFF CUTT is a spray on, wipe off instant detailer formulated for Matte/Denim finish colors. It is a no gloss/ no streak formula that self levels while cleaning the denim, and leaves a natural flat denim finish. RUFF CUTT is a spray and wipe detailer for all surfaces on the motorcycle, i.e. : Denim, Windshields and Chrome.